Telephone boxes have started to appear on Phi Phi Island in the main village by the pier. This means you can pay local rates to all part of Thailand. International services are still cumbersome. Mobile reception is ok and Internet is everywhere on the island. 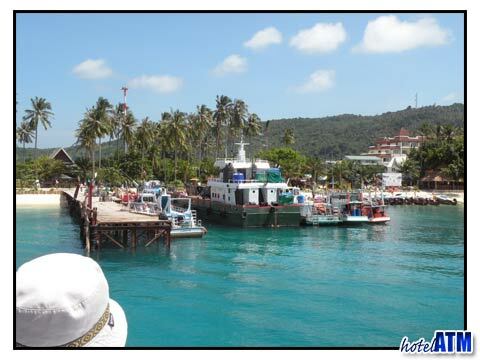 As Phi Phi Island is part of Krabi Province they are administered by the Krabi authorities. The main land lines link up with Krabi suppliers thought the billing can be done in Phuket. This means that mobile phones are structured from mainland suppliers. After the tsunami in 2004 the military erected an antenna on Phi Phi Don hill top which has greatly boosted the signal for all mobile phones. Most people carry mobile phones. Even longtail boat men have started to carry them for safety. The antenna for the phone signal does not reach the whole island and there are some blind spots, especially places like Maya Bay and Loh Samah. Since the Tsunami telephones have been a priority for the government so we expect to see improved communication develop. Phi Phi Internet has got better since it was introduced in 2000. Places like Cheap Charlies are always a good first place to check on what's going on for connection to the web. If you want the best kept Internet cafe on the island go to Siam UK Tours.